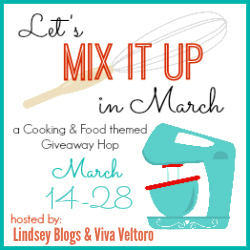 Welcome to the Let’s Mix It Up in March Giveaway Hop Event, hosted by Lindsey Blogs and Viva Veltoro. 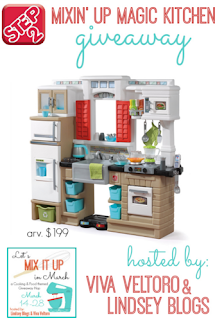 We’re mixing up March, with a host of other bloggers, by bringing you fun (and in some cases delicious) giveaways in this Food and Kitchen themed Giveaway Hop! Be sure to hop around to them all and don’t miss the amazing Grand Prize to help little ones mix it up in their own kitchen - a Mixin' Up Magic Kitchen from Step2! 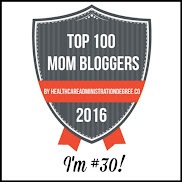 to offer you a fabulous prize package worth $50.00! 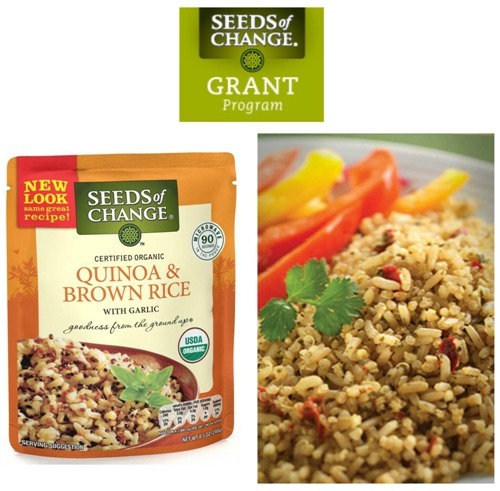 Seeds of Change is launching their 5th annual Seeds of Change Grant Program. The Grant Program will provide much-needed funding to organizations across the United States that focus on telling the seed-to-plate story through sustainable, community-based gardening and farming programs. From now through March 28, schools and community organizations can apply for 24 grants totaling $300,000. Recipients will receive $20,000 or $10,000 grants to support new or existing initiatives. The $300,000 of funding will be split between school and community programs. 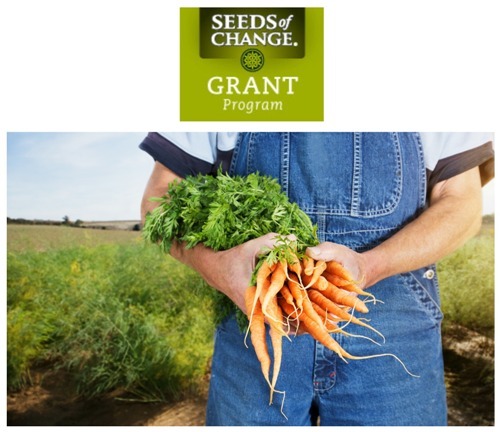 In addition to the grants, grant ambassadors at the $20,000 recipient level will be awarded the opportunity to attend an organic conference and receive a personal Seeds of Change garden mentor. To help enhance the environmental, economic and social well-being of gardens, farms and communities nationwide, the 24 grants will be distributed as follows: two (2) $20,000 grants and ten (10) $10,000 grants for school programs; and two (2) $20,000 grants and ten (10) $10,000 grants to fund community programs. A portion of the Seeds of Change “1% Fund,” the company’s commitment to donate one percent of its sales, is allocated to support the annual Grant Program. Let your school or community organization know about this fabulous grant program! To enter, just fill in the giveaway form below. Open to US residents, ages 18 and up. Giveaway ends on 32/8/16. Good luck! 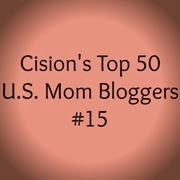 Lindsey Blogs at SEBG, Viva Veltoro, and the Mix It Up in March participating bloggers are not responsible for sponsors who do not fulfill prize obligations. I learned one of their past recipients was Chamblee Elementary School in Georgia. They're giveaway $300,000 in grants. I learned they are trying to create a healthier, more sustainable community. I learned that there is a "Garden Ambassador Award" for the 4 people that submit the winning $20000 grants. 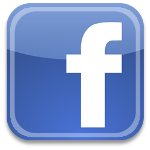 Visit Seeds of Change and leave a comment below, telling me something you learned on their site. I learned they give grants to schools!! I learned they are giving grants to schools and communities for their gardens. I think that's a fantastic idea. I learned that Seeds of Change was founded in 1989. Their mission is to make Organically Grown Seeds available to Gardeners and Farmers. I learned that they are a natural, organic company. I learned seeds of change was founded in 1989. I learned that "Applying is as Easy as 1-2-3!". I learned that they are awarding $300,000 in grants to schools and organizations. I learned that they are awarding $300,000 in grants. I learned that they provide grants to schools and communities to help their gardens or farms. I learned that there are only 12 days left to apply for the grants that they are granting worth $300,000! Wow! That's awesome of them! I like that they are giving $300K in grants to 24 garden projects. That is awesome. I like that there is a school and community grant program that encourages planting, gardening and farming as social activities. They are committed to create a healthier, more sustainable community and award grants to 24 garden projects around the country. I learned that it was founded in 1989. They are granting 2 communities and 2 schools, $20,000 for a garden- pretty awesome! I learned the Seeds of Change is a seed-to-plate organic company! I learned that February is national cherry month. I was thrilled to learn that they are giving away so many grants to schools. A little for each of the winning schools would mean alot to the kids who would be learning there. They may not realize it but it would teach them more about life than the 15 minute walk the kids are allowed at my daughters school. I learned that they're awarding $300,000 in grants to create a healthier more sustainable community! My son participated in an agriculture program at his High School. I learned that his High School may be eligible for a grant. I am contacting the office as soon as I am done with this post. Thank you so much for the information! I learned that they were granting up to $300,000 for schools and communities. I learned their catalog boasts a rich bounty of vegetable, herb and flower seeds, as well as live plants - all 100% certified organic. I learned that SCHOOLS AND COMMUNITIES WILL EACH BE AWARDED $$ Grants. This is a very generous opportunity! and I forwarded that info on to the person who runs our local community herb garden! I learned that they award grants to nominated schools for their gardens!! So awesome! They are a organic company. I love that 12 schools benefit from grant money from this organization to help in their communities. My teenager is involved in a community gardening project. It has been great for her! 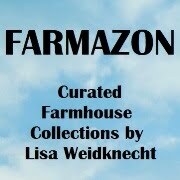 They are dedicated to preserving heirloom seed varieties which I think is pretty important!! i love that they give school grants and that they're dedicated to preserving heirlooms! I didn't know they had such an amazing grant program. There will be some lucky schools getting those funds. I learned they are awarding grants to 24 garden projects around the country!! to help their gardens or farms. I learned that the company is based in the U.S. and primarily maintained in the U.S too. Nice! I learned they are having a contest for community gardens. I think that is fantastic as the more community gardens the more people who ave access to good clean food. I learned they are granting to 24 garden projects! Voting begins on March 31.